Owned since new and has been used sparingly for the past year or so. It has had a screen protector fitted since new, which I have now removed to check the condition before sale. I can't seen any marks at all. Garmin Vivoactive 3 Fitness Smart Watch. Garmin Vivoactive 3 Fitness Smart Watch.. Condition is Used. No marks or scratches only been used about 3 months only seeking as I am not getting on with it as much as I thought and it’s not really being used. comes with original box all cables and leaflets etc and a selections of wrist straps Dispatched with Royal Mail 1st Class. Garmin Vivoactive 3 Smart Watch - Black & Stainless (English Only) (010-01769-A0). Garmin Vivoactive 3 Smart Watch (English Only). Just tap and go. Feel free to take this watch outside in all kinds of weather. Forerunner 35 is slim and lightweight — perfect for daily runs, training and racing. And since all these stats are captured by the watch, your watch is all you need — no phone, no chest strap. Just put on Forerunner 35 and go. Syncing your activities to Garmin Connect is for more than just storing your data. Garmin Vívomove HR Sport - Black Black (Large Size) (English Only) (010-01850-91). Product Model: Garmin Vívomove HR Sport Smart Watch. Garmin Vivomove HR Smart Watch Wrist-Hr Black/Sandstone 010-01850-03 NEW SEALED . Condition is New. Dispatched with Royal Mail 2nd Class. Garmin Vivosmart 4 - Midnight with Black band (S-M Size) (English only) (010-01995-80). Product Model: Garmin Vivosmart 4 Smart Midnight with Black band. The display is only on when you need it. And when it’s on, it auto-adjusts to ambient light levels, so it’s visible even in bright sunlight. We’re making it easier to get the data you need to improve your form. The 935 is compatible with our line of easy-to-swap QuickFit bands. Your routine is anything but routine. For brick workouts and du/triathlon races, the auto multisport feature lets you switch sports with just one button press. The always-on Garmin Chroma Display color touchscreen is responsive and bright enough to see — even in direct sunlight. Garmin vívosport. Features always-on color Garmin Chroma Display and slim profile. To listen all you need is a comaptible pair of bluetooth headphones that can easily be synced to the device for an on the go, streamlined, high-quality music listening experience. Using Bluetooth Smart or ANT you can connect the watch to your smartphone or tablet device. It’s the convenient, hi-tech way to monitor and improve your performance. Your precise location is found no matter where you are. Download advanced workouts and training plans from Garmin Connect. Garmin Connect. Whether your steps come in 3-inch Heels or 3-piece suits, vivomove activity tracker gives you the luxury of all-day activity tracking without losing style. The elegant timepiece tracks steps, monitors sleep and syncs with the Garmin connect mobile app to view your stats in more detail. Your step progress is tracked throughout the day and can be seen on the Watch face. Its impressive 1-year battery life lets you track activity 24/7 without having to worry about charging it every night. Available in silicone, Leather, Rose gold-tone and stainless steel, choose which design complements your style best, and keep taking steps towards a healthier you. We’re making it easier to get the data you need to improve your form. Feel free to take this watch outside in all kinds of weather. Not only is it safe for swimming and showering, its Garmin Chroma Display is easy to read — even in direct sunlight — and housed under chemically strengthened glass. Reminds you to stay active with move bar and vibration alert. We’re making it easier to get the data you need to improve your form. Always on the run?. Feel free to leave your phone and wallet behind. Your routine is anything but routine. Create your own custom workouts, and download for free from our Garmin Connect online fitness community. Smart notifications help you stay in touch on the go. Plus, QuickFit bands let you tailor the look to any lifestyle or activity – no tools required. All fēnix 5X models can support smart notifications when paired with a compatible device. Stay connected with notifications when you pair the Forerunner 35 with your compatible smartphone. Go further, faster and get fitter with the Forerunner 35 from Garmin. As well as preloaded sports profiles for running, indoor running, cycling and cardio, there are training tools like intervals, audio prompts and a dedicated run/walk activity. Includes fitness monitoring tools such as VO2 max, fitness age and strength training. ™ wrist heart rate technology. Safe for swimming and showering. Garmin Instinct. Smart notifications let you leave your phone in your pocket. Or, pair with the Garmin Explore website and app to plan adventures before you head out. When you can rely on Instinct, the world can rely on you. Fitted with a black silicone band, water resistant 50m. Dress Rings. - Gold and Silver Jewellery. Gold and Silver Jewellery. How long will my order take to arrive?. Diamond Pendants. about this product. You can count on long battery life in each mode of operation (varies by model, depending on settings). 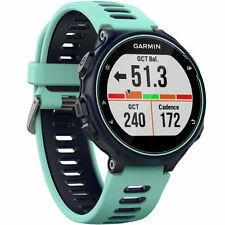 Garmin Fenix 5S Smart Watch - Frost Blue Tone Sapphire Frost (010-01685-43) (English Only). Fenix 5S Sapphire. Vibration alerts. Smart notifications. Backlit display. 010-01689-13 Garmin Forerunner 35 - White :: 010-01689-13 (Smart Tech > Smart Watches & Fitness). Forerunner 35 is slim and lightweight ???. perfect for daily runs, training and racing. And since all these stats are captured by the watch, your watch is all you need ???. The Forerunner 235 enables you to share all your run and activity data and monitor your progress at Garmin Connect. Garmin Connect is Garmin's free online community where you can plan, save, and share your activities. Fitted with a white silicone band, water resistant 50m. - Gold and Silver Jewellery. Gold and Silver Jewellery. How long will my order take to arrive?. My Diamonds. - Other Jewellery. Kilimanjaro Collection. The fēnix 5X matches both your aesthetic and athletic interests. All fēnix 5 series models can support smart notifications when paired with a compatible device. An always on, high-resolution, full-colour Garmin Chroma Display. 010-01850-02 Garmin Vivomove Hybrid Smartwatch Rose Gold Silicone Band with Heart Rate Monior :: 010-01850-02 (Smart Tech > Smart Watches & Fitness). Stylish Hybrid Smartwatch with a Discreet Display and Precision Watch Hands. Garmin Descent MK1 Smart Watch (010-01760-70) - Sapphire Silver & Black band (English Only). Descent Mk1 with black band. Special preloaded activity profiles are provided for swimming, running, biking, hiking, skiing, rowing, paddle boarding and more. It also gives you a new perspective on more than 41,000 courses worldwide. You actually see a full-color CourseView and Green View overlay in 2-D for the hole you’re playing, showing distances to the front and back of the green. Foretrex 701 adds Applied Ballistics Elite software that calculates aiming solutions for long-range shooting. re built to military standards for thermal, shock and water performance (MIL-STD-810G). The vivomove HR also includes multiple wellness monitoring tools to help you manage stress and combat stress-related symptoms. When connected to your smartphone via Bluetooth, the vivomove HR will receive and display smart notifications. (Fēnix 5S/5x). robust and high-quality case with steel bezel and steel case back. Training Effect 2.0, training condition and training load evaluations enable a more efficient training, a better training analysis and a simpler overview of the training progress. Water resistant 100m. - Diamond Rings. Dress Rings. - Diamond Pendants. - Diamond Bracelets. - Diamond Earrings. - Gold and Silver Jewellery. Diamond Earrings. On either version, a bright, high-resolution, full-colour transflective Garmin Chroma Display with LED backlighting assures great readability in all ambient conditions even under intense sunlight. Garmin Fenix 5X Plus - Sapphire black with black band (010-01989-01). Water resistant 100m. - Gold and Silver Jewellery. Gold and Silver Jewellery. How long will my order take to arrive?. Diamond Bracelets. Diamond Pendants. about this product. add product. 010-01614-07 Garmin Forerunner 735XT Midnight Blue/Frost Blue - 010-01614-07 (Smart Tech > Smart Watches & Fitness). Your routine is anything but routine. For brick workouts and du/triathlon races, the auto multisport feature lets you switch sports with just 1 button press. Garmin Forerunner 735XT provides the most complete data support available for running, cycling, swimming, multisport, hiking, skiing, strength, paddle sports, cardio and more. The Forerunner 735XT is compatible with advanced workouts for running, cycling and even pool swimming.